Product launch with supporting sales materials for Nectar Craft extracts. 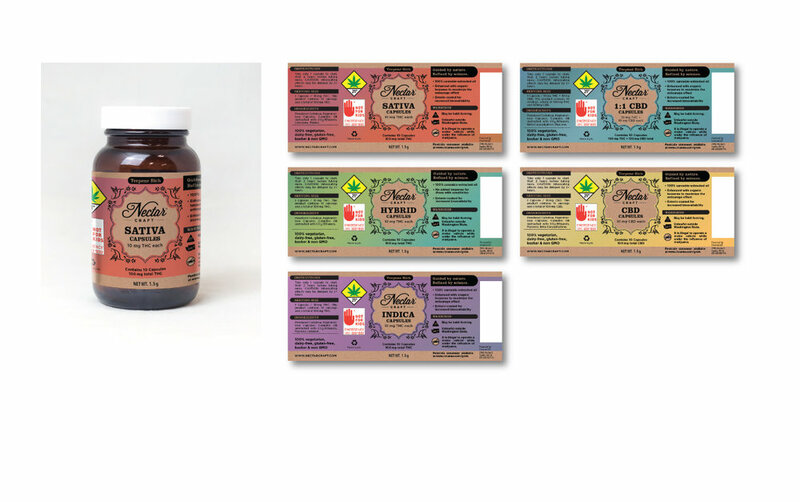 Print design of sales collateral and upgrading branding design for Nectar Craft extracts. Design, copywriting and branding upgrade for Nectar Craft extracts. Label design for Nectar Craft capsules. 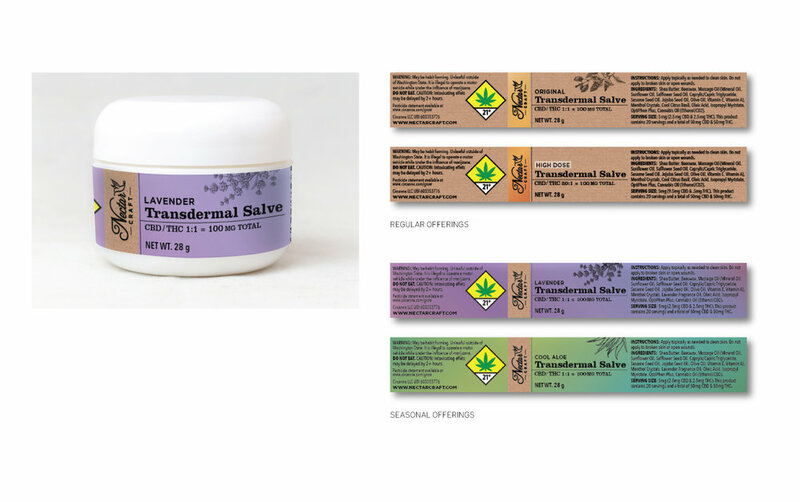 Label design for Nectar Craft salve. Branding and sales materials for the product launch of Tonic Liberatum oil cartridges. (From left, clockwise) Logo for ARTIFACT, a purveyor of local art, handcrafted design objects, and integrating local art into build environments // Logo Redesign and Line Extension Logo Design for the JEMPE CENTER and PEGASUS RANCE, which offer professional leadership coaching through uncommon pathways // Logos for BIONEERS and CASCADIA CLIMATE COLLABORATIVE conferences for climate and change-based individuals and organizations // Logo for COLOR PRINTING SYSTEMS, a full-service printing shop. T-shirt, flyers and logo design for Road to Athabasca, a bicycle-focused climate activist group.